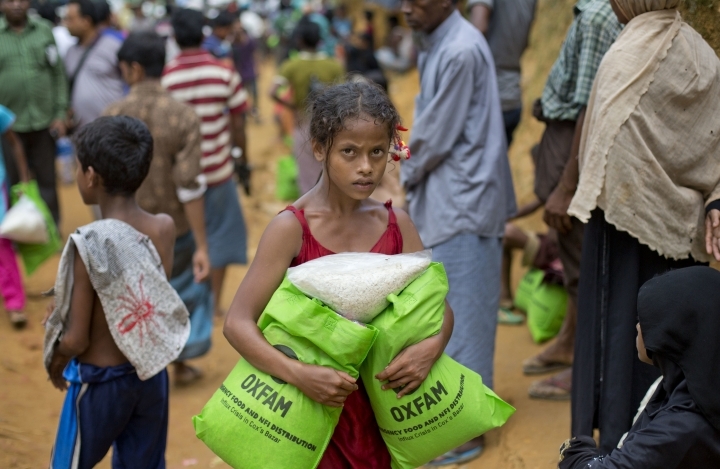 COX'S BAZAR, Bangladesh — The head of the United Nations' food-assistance agency on Sunday urged the international community to step up its support for the relief operation for Rohingya refugees in Bangladesh or risk "a massive catastrophic disaster." More than half a million Rohingya Muslims have fled into Bangladesh in little more than a month to escape a Myanmar military operation that has been condemned as ethnic cleansing. The crackdown was in response to a series of deadly attacks on security posts by Muslim insurgents. Authorities have housed the refugees in a number of existing camps near the border, but the huge numbers and the sheer speed of the exodus have created acute needs, including food. "Bangladesh alone can't handle this. 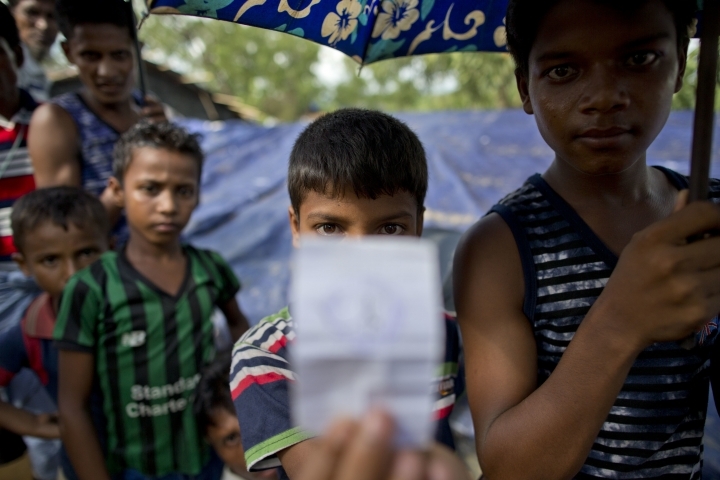 The international community must rally," David Beasley, head of the U.N.'s World Food Programme, said after observing a handout of food to refugees at Kutupalong camp, near Cox's Bazar. He said the WFP needs $75 million in the next five to six months to meet current and anticipated food needs. "We need support from around the world because you're talking about a literal humanitarian disaster," Beasley said. "If we don't get the support we need, from health care to proper nutrition and safe water and sanitation and sheltering, this could explode into a catastrophic humanitarian disaster." The WFP says it has already enrolled around 460,000 people in the camps in a program that gives them 25 kilograms (55 pounds) of rice every two weeks for the next six months.